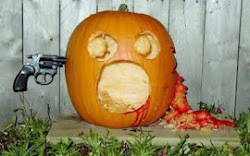 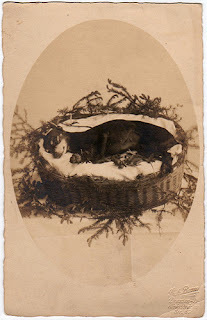 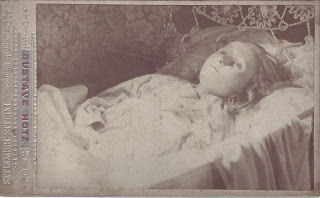 This is the second part of photography post-mortem or " memento mori ". 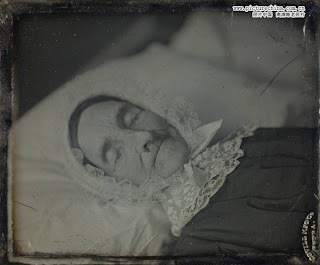 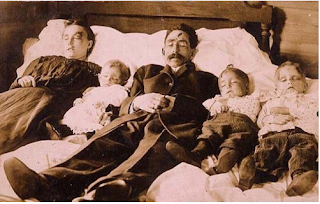 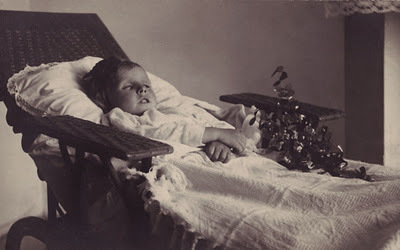 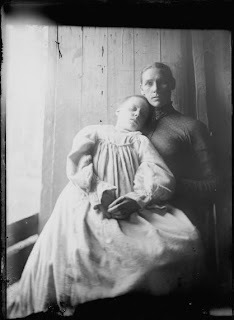 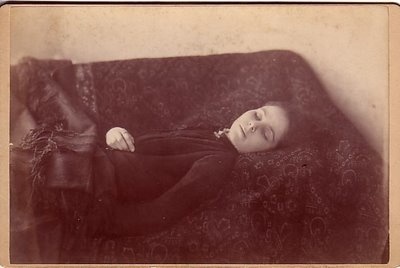 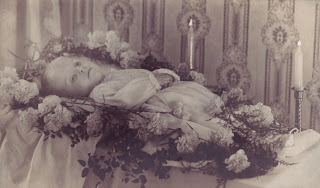 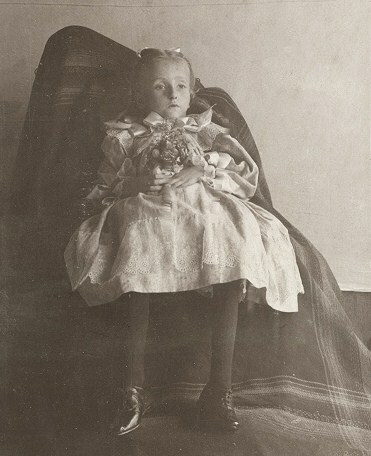 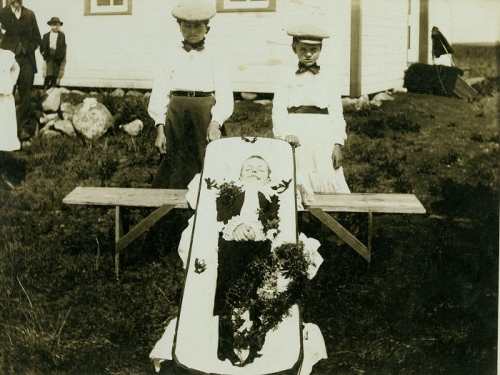 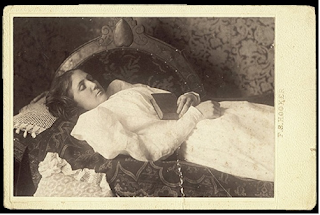 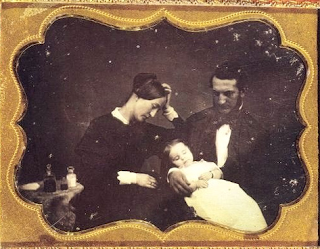 Some photos were very tasteful and the dead seemed to be asleep, but other families wanted to preserve the memory of their loved ones with open eyes, so often the photos were taken with the eyes closed and the eyes were painted after being developed. 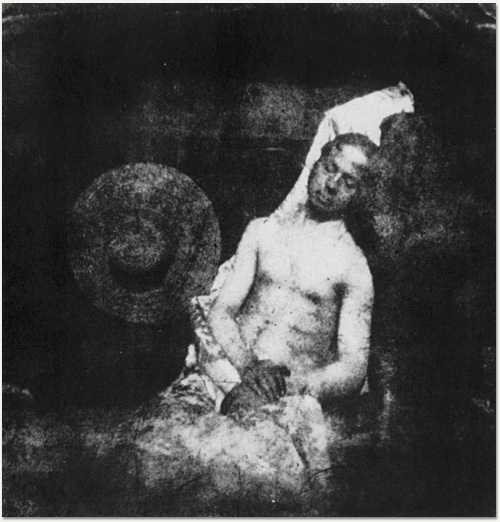 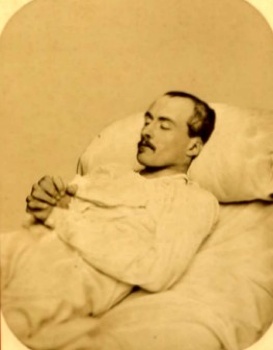 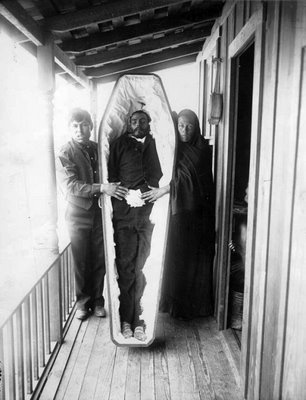 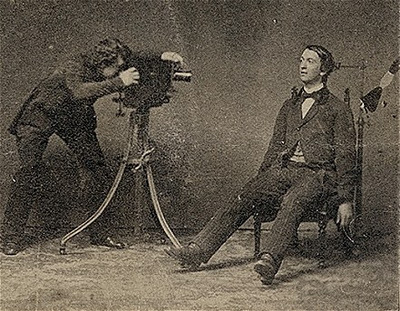 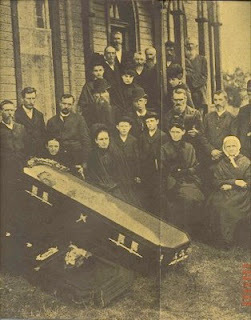 In other cases, the dead body were photographed standing up using a special device, but this position wasn't so usual. 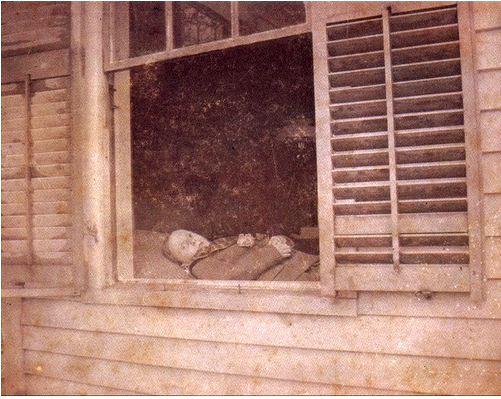 This photo was taken from outside because the whole family was in quarantine. 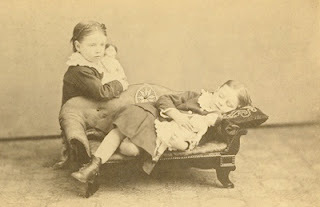 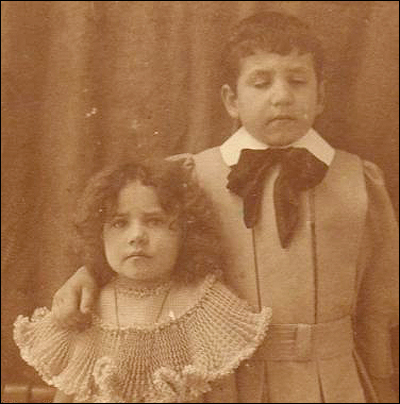 Two sisters, the one in the left is dead. 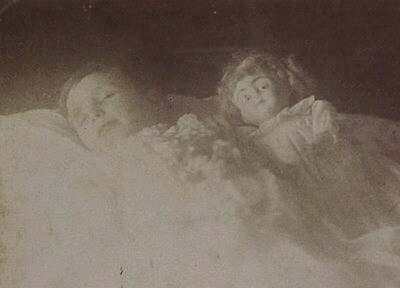 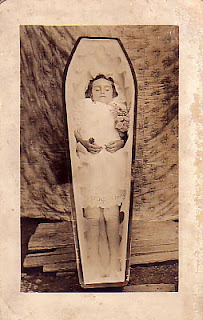 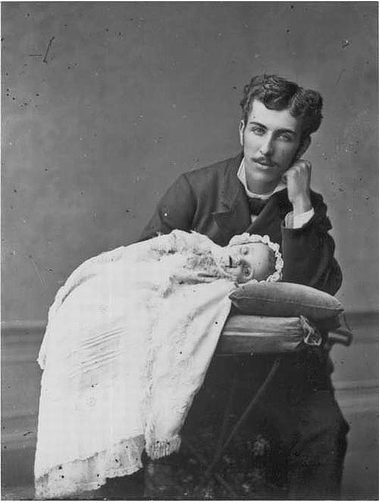 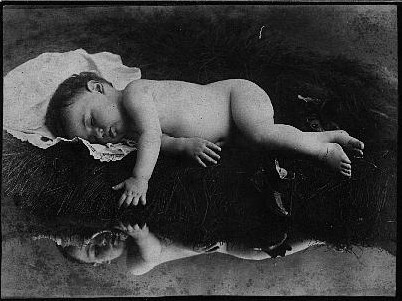 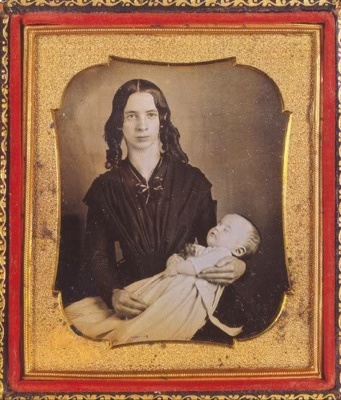 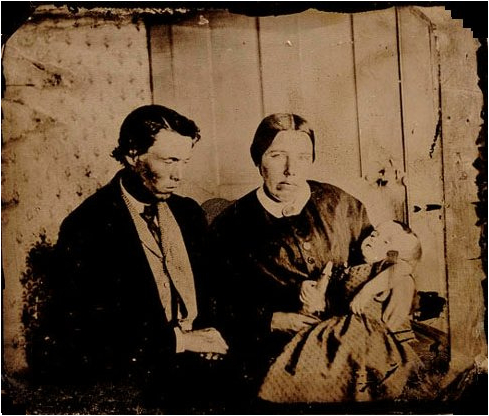 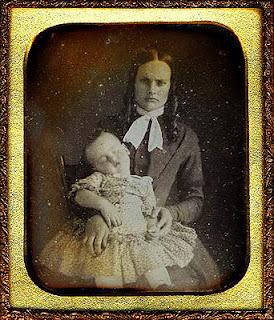 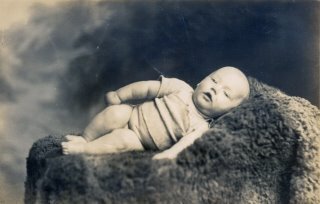 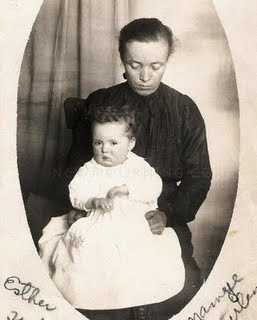 Very unusual photograph, where the mother is dead and the baby alive. 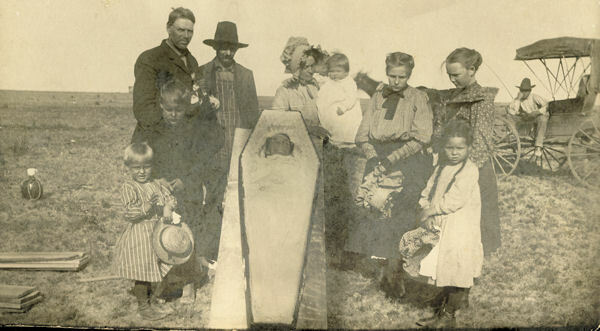 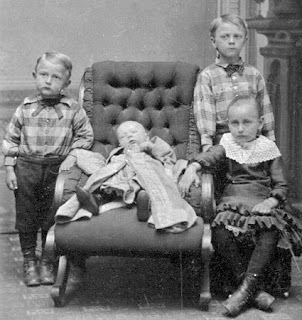 A whole dead family. 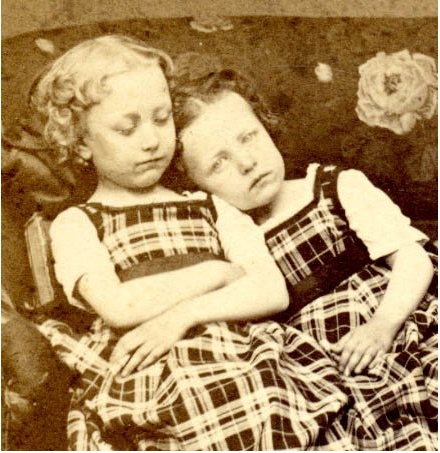 Probably in some kind of accident, due to the condition of their faces. 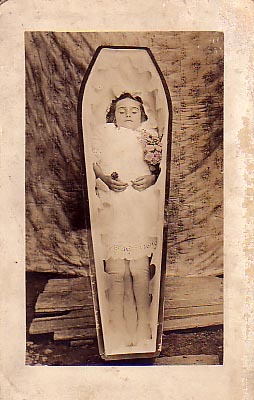 The girl in the middle is dead. 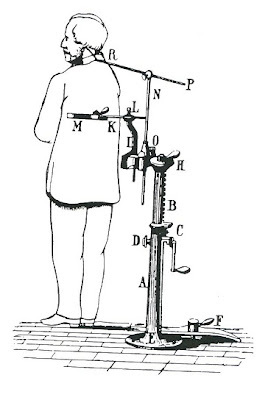 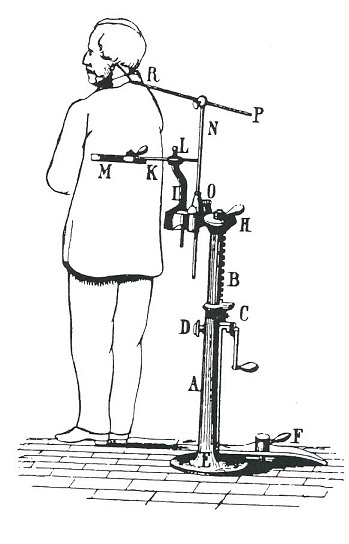 Device to place the body in stand up position. 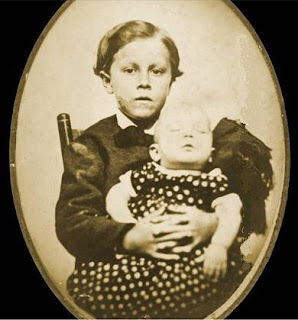 Here the father doesn't look so sad, which makes it a little weird. When I did my Memento Mori posts long ago I ran across a black and white painting that haunts me to this day. 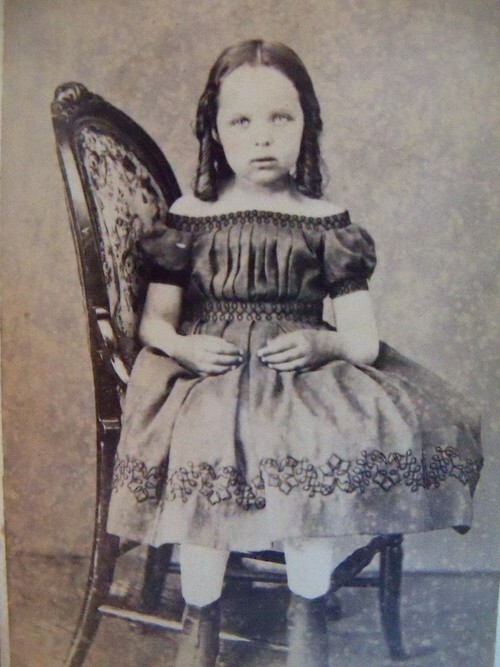 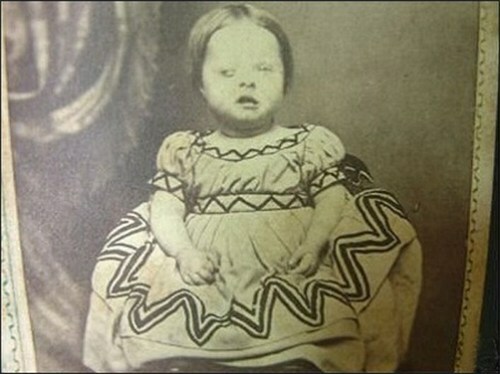 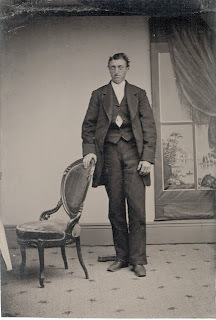 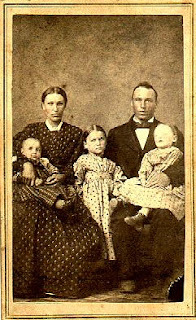 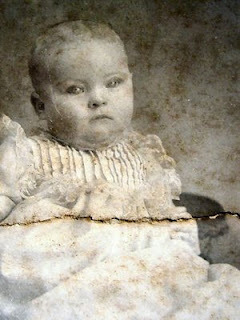 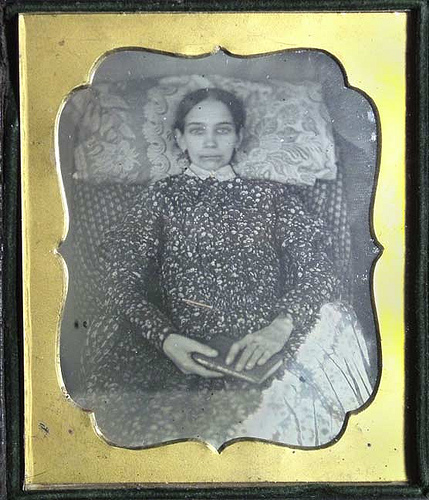 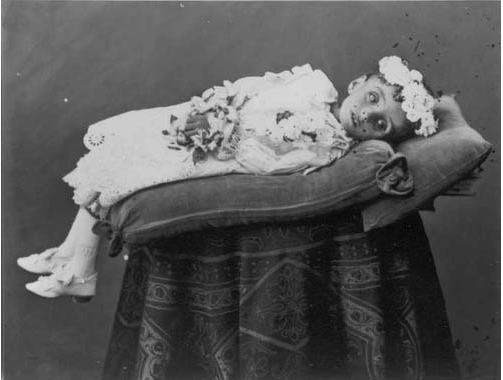 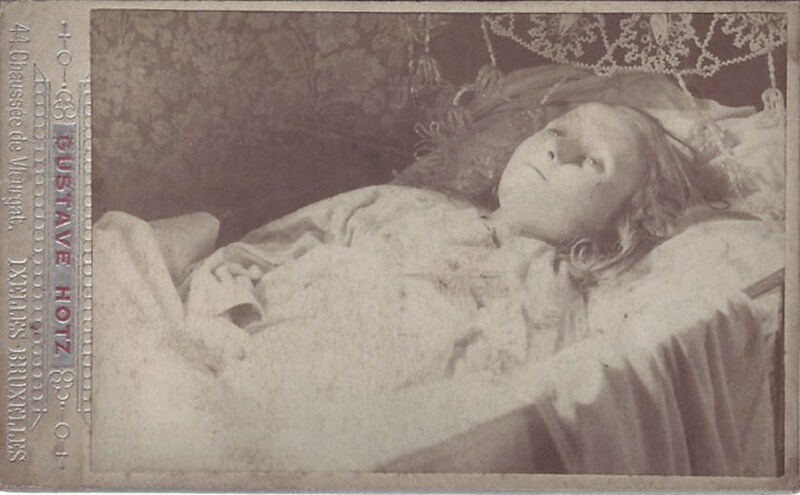 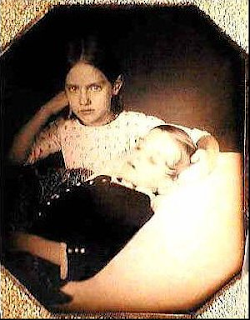 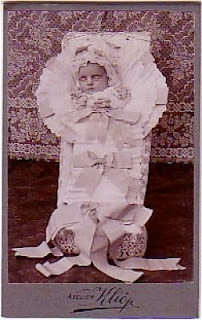 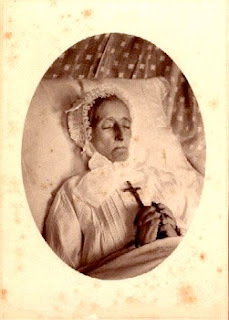 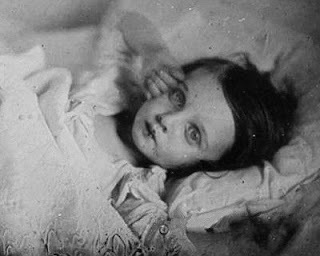 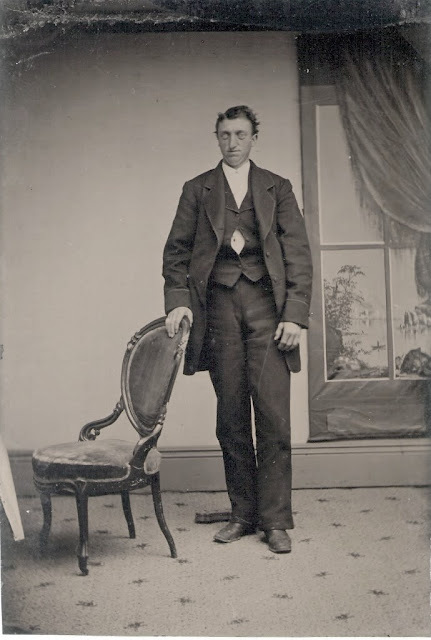 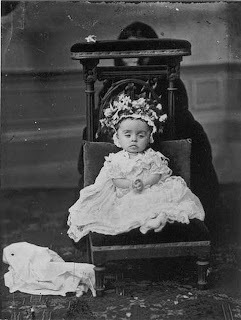 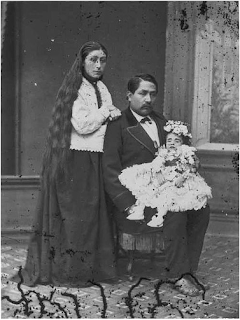 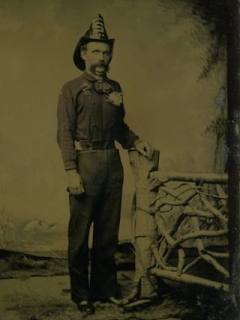 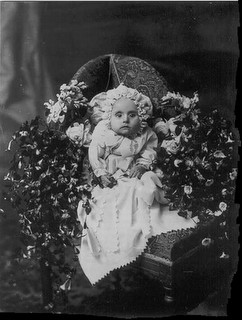 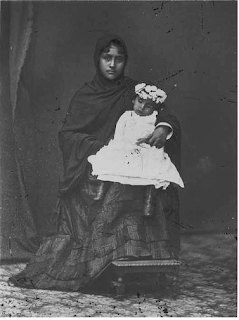 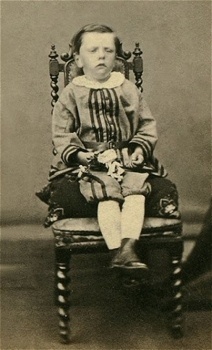 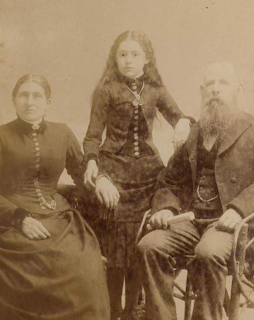 It features what would be almost an ordinary Memento Mori photo from the late 1860's judging by the clothing worn. There was a angelic dead little boy in a casket with almost a glow about him. 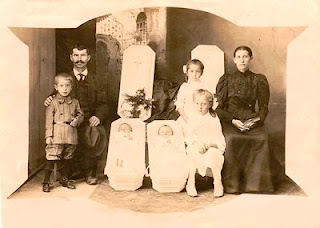 All around him were about 30 or 40 family members all wearing black, but they were all stark white skeletons. 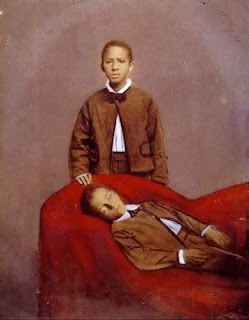 The full meaning of that painting did not strike me until weeks later. 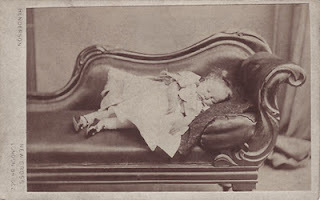 I tried to find the painting again, but I can't find it! Does anyone here know where I can find it? It is so sad to see....especially the children. 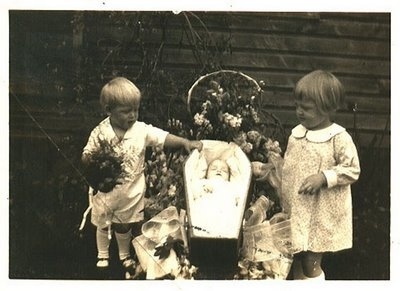 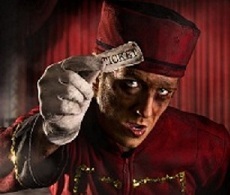 It hurts to see these pictures.